Mirvac Retail is extending its digital reach with two newly announced partnerships trialling and rolling out greater offers and online access to their portfolio of retail centres for the connected urban customer. Customer convenience is at the heart of the deals Mirvac Retail has done with online food delivery service foodora and search platform innovator Mall Ops. 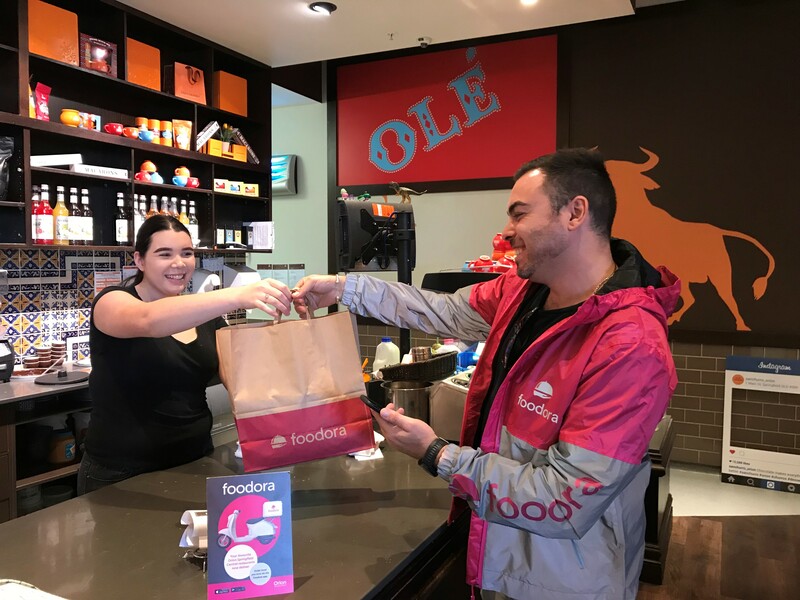 The roll-out of the foodora partnership across the Mirvac Retail portfolio this year is a ground-breaking deal for the delivery service – offering Mirvac restaurant and dining retailers an opportunity to introduce their service into a wider variety of communities for their customers and retailers. While retailers are at the centre of this partnership, consumers are also reaping the benefitswith an expansion of the foodora service into sub-regional areas such as Brisbane’s Orion Springfield Central, which starts the service this month. Foodora PR Manager Lizzie Kaye said: “We look forward to helping our restaurant partners take advantage of an additional revenue stream and coordinate their front of house and in-kitchen activities. In addition, the foodora pick-up function can help vendors during peak periods, making it the perfect product for restaurants housed in a food court space." Since commencing their partnership in November last year foodora and Mirvac have secured 12 exclusive food vendors across three Mirvac shopping centres, with a total of 23 active restaurants across Sydney and now Brisbane, with more in the pipeline. Foodora will also partner Mirvac Retail’s forthcoming national food and dining campaign in April with extra special offers including free delivery, and $10 off for new customers. Further cementing its position online, Mirvac has been working with Mall Ops – launching their first digital shopping platform at flagship centre Broadway Sydney. Mall Ops specialises in the production of digital shopping platforms, creating seamless searchable capability that directly connects customers to the centre retailers and products as part of their shopping journey. Mall Ops CEO and Founder, Doron Ostrin said, “Studies tell us some 74% of purchase decisions begin with online research - we have all done it... search Google for a product or category we’re looking for and begin to compare pricing, availability and speed of delivery. “Mall Ops technology allows customers to search anything across all retailers in Broadway, from brown shoes to purple t-shirts. Although some customers may opt for an online purchase, the purpose of this platform is to strategically place our own centre brands in front of customers - driving increased traffic and showing options, availability and improving the shopping experience both digitally and in the centre,” Mr Pozzobon said. Since launching the bespoke platform at the end of last year, Broadway Sydney has appeared in 354,885 product searches online and attracted over 36,000 users on the website, vastly enhancing the Centre’s visibility with existing and new customers and ensuring Broadway tenants are top of mind during the crucial shopping search phase. “Through strategic digital partnerships with like-minded, innovative customer-focused companies, we are growing our assets and re-defining shopping experiences to meet customers wherever they are,” Mr Pozzobon said.